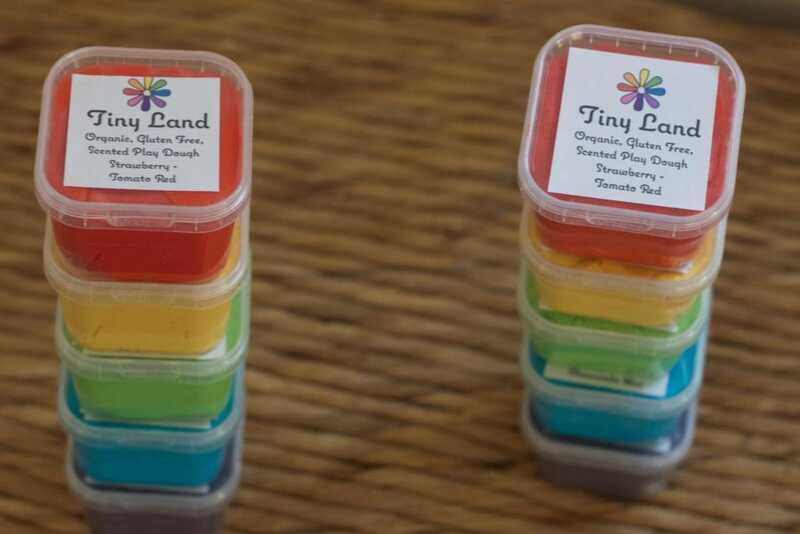 Gluten Free Play Dough & A Give Away With Tiny Land | The Free From Fairy. Today I’m going to introduce you to a fabulous little brand called Tiny Land. 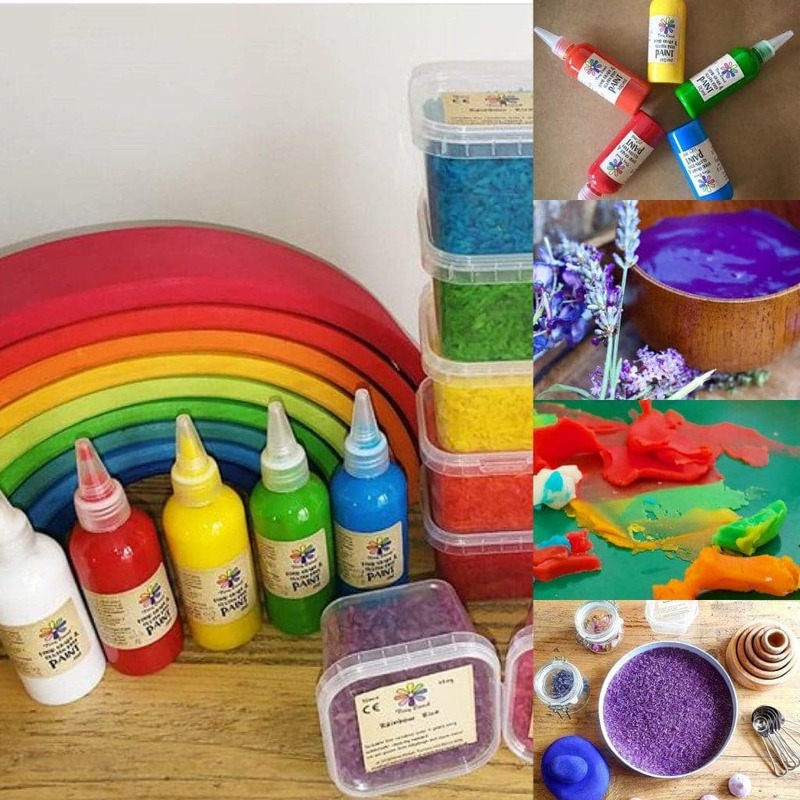 They produce natural eco friendly arts and crafts supplies made from food, including gluten free play dough and vegan crayons. When ‘Roo’ was little she loved playing with play dough but she also had a tendency to try and eat it. I used to make it and I have a recipe here, but it would have been so nice to find Tiny Land who actually make it for you. And what’s more, it’s lovely to play with, smells delicious and comes in a huge variety of colours. Absolutely perfect for anyone who runs a nursery or play group. What prompted you to start your own free-from business? I used to be a Senior Project Manager in Financial Services, but after I had my 2nd child, I wanted to be home with them more often. I gave up my job in the office and focused on the job at home. Baking became a key past-time that would also nourish my family. I was also making Play Dough and Paints in my kitchen for Christmas presents. As I needed an income stream, I decided it was scalable enough for a business. I live a plant-based lifestyle and prefer gluten-free food, so wanted to create the best gluten free playdough I could. The first batch was crumbly and dried out, the second batch was better but rubbery…and after almost a year of experimenting and learning each ingredient’s behaviour and characteristics we finally nailed it!! We make all our art materials from gluten, soy and dairy free food ingredients! Super safe for little ones who explore with their mouths. Most of our products are scented. We only use natural flavourings extracted from fruits and flowers. Typical shop-bought Play-Doh contains wheat and some children with contact allergies (or those that still explore with their mouths) can’t access playdough at all. As you know, some gluten-free products tend to be dry and crumbly yet ours is not only Gluten-free but it doesn’t dry out when left out for extended periods – even days! It’s soft and doughy, and glides through playdough machines with ease! In-line with the our free-from ethics we also avoid beeswax and soy wax. Instead we use a food grade sustainable plant wax for our crayons that is commonly used in sweets. Only 1 of our wax colours is cosmetic grade – everything else is from food colouring and is completely washable. We have more and more companies on board who want to provide this to the increasing number of coeliac children so it could be coming to a shop near you soon! What is your favourite product of yours and why? Currently I’m in love with our playdough because it’s taken so long and so much trial and error to get where we are today. It’s also scented as standard, so when it’s mixed together to make that infamous brown, it smells of fruity sweets! We have chocolate, lavender, and many more! We also sell Scented Paints, Bath products, Rainbow Rice, Coloured Counting Beans, and many are available as playsets for restaurants, traveling, and holidays or as party and wedding favours. 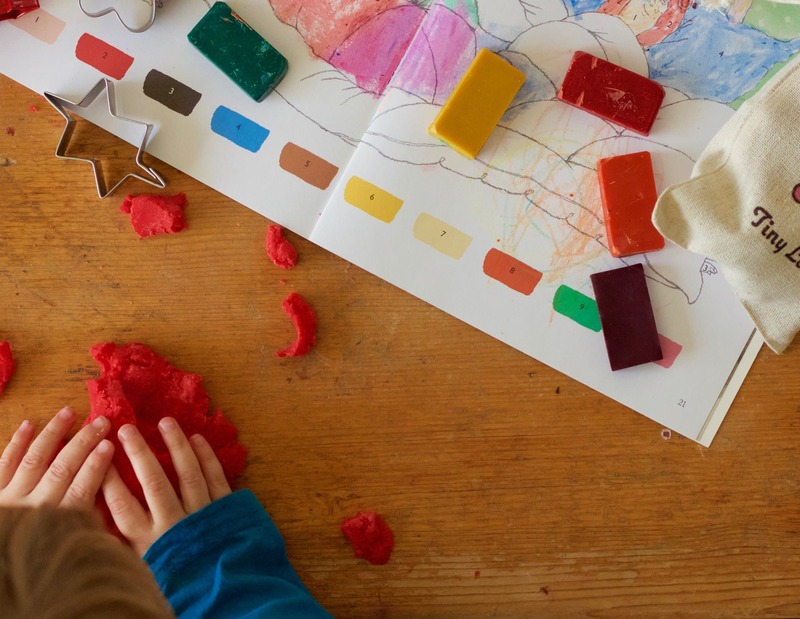 Would you share a favourite way of using the play dough? Absolutely! My sons love being given loose parts to explore with. We use sticks from the garden and put them together with blobs of dough to make geometric shapes, or make bugs with stick legs, and various animals. It’s a great way to use nature for inspiration and get their imagination going. Currently we sell on our own website but our products are also available on Amazon, Fairkind Child and Conscious Craft. We will also be at the BabyTodd Regional Bump, Baby, and Toddler show at the South of England Showground on the 29th September. 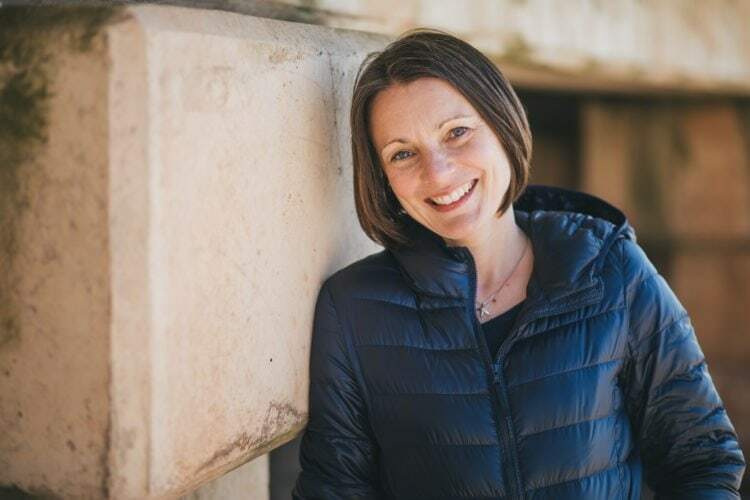 How can my readers connect with you? How can my readers win a luxury hamper of your goodies? We are giving away our biggest pack of Playdough (9 colours), Rainbow Rice (7 colours) and a beautiful drawstring bag of 8 Wax Blocks. All you have to do is log in to the box below with your email address or Facebook account and follow the links. The more ways you enter the more chance you have of winning. You have until midnight on 4th September to enter. The giveaway is only open to UK mainland residents over the age of 18. No cash alternatives will be given. The winner will be picked at random and emailed to request a postal address, which will be passed on to Tiny Land. The winner will have one week to supply an address before another winner is picked. The prize will be fulfilled by Tiny Land directly.